There’s something so powerful about a lone voice singing a cappella … especially when that voice is David Archuleta’s. It’s a test of talent — and sheer chutzpah — in so many ways. There are no strings or drums or horns to hide behind, no piano chords to guide your key changes, no bass line or percussion to keep you on beat. Like jumping out of a cake naked … only more socially acceptable. Not only have David’s recent a cappella songs been remarkable for their raw power and beauty, but what also struck me about them is how they bubbled forth from David’s deep desire, his burning passion, TO SING for us. “I feel like singing a cappella for you guys,” he told the crowd at the Mall of America. Who does that??? David, that’s who. In New York, he leapt up on a table with a megaphone, for Pete’s sake! A MEGAPHONE!!! In Chords of Strength, David explains that he thinks of his voice as a gift, rather than a talent. That it’s a gift for him to share … to gift to others. And the fact that he lives to do just that — to share that gift with us — has never been clearer than over these past two weeks. I was trying to decide which performance has been my favourite, but I’m stumped. Lean on Me is a runaway train of soulful “gah-roovitude” (to quote the ever-quotable Ms. Beebee). Then there’s I’ll Be, which is SO intense, it makes me feel like I’ve been tasered … in a good way. And God Bless the Broken Road … no words for that one. Okay, a couple of words. It’s so delicately beautiful, each time I hear it, I have to stand still. I feel every note like drops of rain on my face. Blessed. And each time I shake my head in disbelief that David sang it a cappella. His voice is so full and his phrasing and dynamics and emotion and pure heart and soul so mesmerizing that you’d swear he had a full orchestra behind him. Remarkable. And the literal translation for a cappella? It’s Italian for “in the style of the chapel.” No surprise there. No surprise at all. 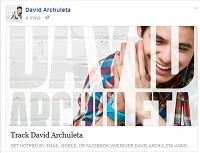 This entry was posted in Fan experience, Special event and tagged God Bless the Broken Road and David Archuleta. Bookmark the permalink. I agree 1000% that David can sing a cappella! What I get from his voice is the sweetest feeling of tranquility I’ve ever experienced in my entire 72 years young. He just floors me. He wants to share every little note that comes from that blessed body that was a gift to him. Thank you David for sharing with the entire world. Thank you, thank you. Don’t ever stop. “72 years YOUNG” – David sure plays a part in this feeling doesn’t he? I loved two performances equally, so I had to vote twice. Oooh, that just reminded me of a really good movie that I now want to see again. Songcatcher. 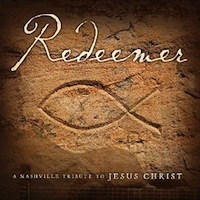 I’ll Be & Bless the Broken Road are the two that I want everyone in the world to hear. – “Like jumping out of a cake naked … only more socially acceptable” Bwahahahahah Nearly did the coffee hit the screen when I read this. Well, all right. I can choose (two) for this poll, but thank HEAVEN I don’t have to choose one or two to listen to. Love every one of these. Broken Road got my first vote because it made me cry in the best of ways. And the National Anthem because we live in a time when a feeling of patriotism is undervalued, yet David sings it like he means it, and reminds me that I mean it. Betsy, I can totally picture the look on David’s face. 😯 He should never play poker! lol … It slays me that he still doesn’t get that it’s not the SONG that we care about, it’s him SINGING it. But lovely that he cares so much about choosing the right song for the right crowd at the right time. Also I would like to say I love acapella angels too <3. Hey snowangelz!!!! Back from a trip of epicness…. and am working on a recap…. I had to choose GBTBR cause when he started to sing it…. I felt every note …. and **sniff** it hit me hard. David live, acapella, is soul food. Can we dream of an acapella album someday??? I am. Lean on Me. Hey SnowAngelz! Been lurking and so busy at work lately. Oh, and enjoyed the last post too cause I’m a leftie. Hey, Angelica! *waves* Another leftie? Wow! Refnaf, looks like we were both typing Hey SnowAngelz at the same time. lol Welcome home. Can’t wait to read your recap! 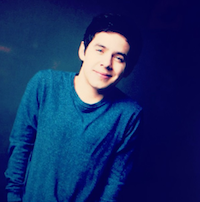 http://www.y101.com/ (scroll down to “David Archuleta on the Showgram” to listen. Classy DJs who asked good questions and let David talk about the important stuff … nice antidote to yesterday’s shock jocks. (((Awestruck)))) catching up and saw that congrats are in order Woot! G babies FTW!! Wish all dj’s could be as classy as David, I have not seen the questionable interview, not sure I want to…but where is it if I do??? #15 on the NYT non fiction best sellers list!!!! I just saw that, #15 … with a bullet!!!! WAY TO GO, DAVID!!!!!! WOOOOT! #15 NYTIMES! He can now say forever and ever he was on the NYTimes best selling list! TOfan, first paragraph – you have mastered the fine art of quickly grabbing your readers attention! LOL! Great piece, love every word! Voted for Lean On Me, but will be registering votes for BTBR and MIA, and yeah the NA and IB and… every single acapella note that he cries. “every single acapella note that he cries” FTW!!!! I am really enjoying these interviews – even the one yesterday (Bob and the Shogram) because it showed how David was ably adept at getting around the inane questions. Way to go David! Here! Have a Nats pre-game interview on the big screen to go with your Saturday afternoon happy hour! For full disclosure read the tag lines first! KT – cool vid, do they usually do an interview like that before a ball game? It must have been so amazing to hear him sing the SSB in person. More info: David talks on the big screen! I tried editing out the first part but then it wouldn’t load to YT. Sorry. Also the audio and video aren’t in sync as it was that way live as well. Check out Rach’s blog HERE. I was so happy to meet you in Orem! I have been worried about… what was under your hat. I really hope you are sunny side up and sooooo well and happy. PS mega leftiness in my family. Thanks for describing it so perfectly. Lately I have been listening to that on my MP3 player (on repeat) as I take the train to and from work. I doubt that I will ever hear another artist come even close to delivering a song from what seems to be the depths of their being like David does. Impromptu performances, makes no difference with David. It’s pure magic every time, how does he do that? It’s a gift, as David says, that he loves to share and one of the best gifts that I think that we could receive. Children’s Miracle Network….heartwarming. David and children, pure sweetness. So much to read, to listen to, he’s on a roll these days. Have a feeling the Idaho concert will be extra special with a David surprise or too, yes. (((BLUESKY))) Haha, my head is improving, thanks for the hug when I needed it! Now I am dealing with head cold, this past week was tooo much for my body to handle. 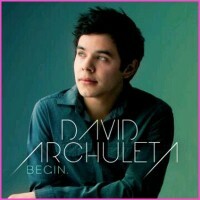 Now the anticipation for the Rexburg concert> a winky from David can only mean NEW SONGS’ least that is what I am hoping for. Glad you are feeling better! Can’t have our Canadian friends down! Refnaf…..A recap sounds wonderful, looking forward to it and 5 feet away, doesn’t get much better than that! Good golly Refnaf! Just 5 feet away from a David performance?!?! No wonder you’ve been out of commission! You’ve undoubtedly been gobsmacked silly and rendered temporarily speechless. We completely understand and will patiently await your recap! TOfan, so hard to decide which recent a cappella performance is my favorite. They all feel like part of a grand and glorious extended family of musical delights from David. Hard to show favoritism when each feels like its own unique and generous gift. Love this: “His voice is so full and his phrasing and dynamics and emotion and pure heart and soul so mesmerizing that you’d swear he had a full orchestra behind him. Remarkable.” Couldn’t agree more. And I was not familiar with the literal translation for a cappella. David captures the essence of “in the style of the chapel” like no one else I can think of on the music scene today. Looking forward to hearing all about the Rexburg concert…anyone here attending? … but now I’m thinking of following up with a Lean on Me/Maybe I’m Amazed chaser, hmmmmm.